DiachieveTM brand products are created to give people with diabetes affordable options while maintaining the highest quality and safety. Diachieve brand products were created specifically for the unique needs of people with diabetes. With the help of our diabetes experts and doctors, our formulas contain the most updated proven ingredients for helping to reduce diabetes symptoms and health issues. Our products provide the best pricing available while maintaining the highest in quality and safety. To offer products designed to help you effectively manage diabetes and related health concerns. To this end, our products are developed under the guidance of health professionals and are backed by our 100% satisfaction guarantee. We guarantee our Diachieve Omega-3 is manufactured with the highest guidelines to ensure the best purity (no contaminants), potency (highest levels of EPA and DHA available) and price (lowest cost per gram of pure Omega-3). 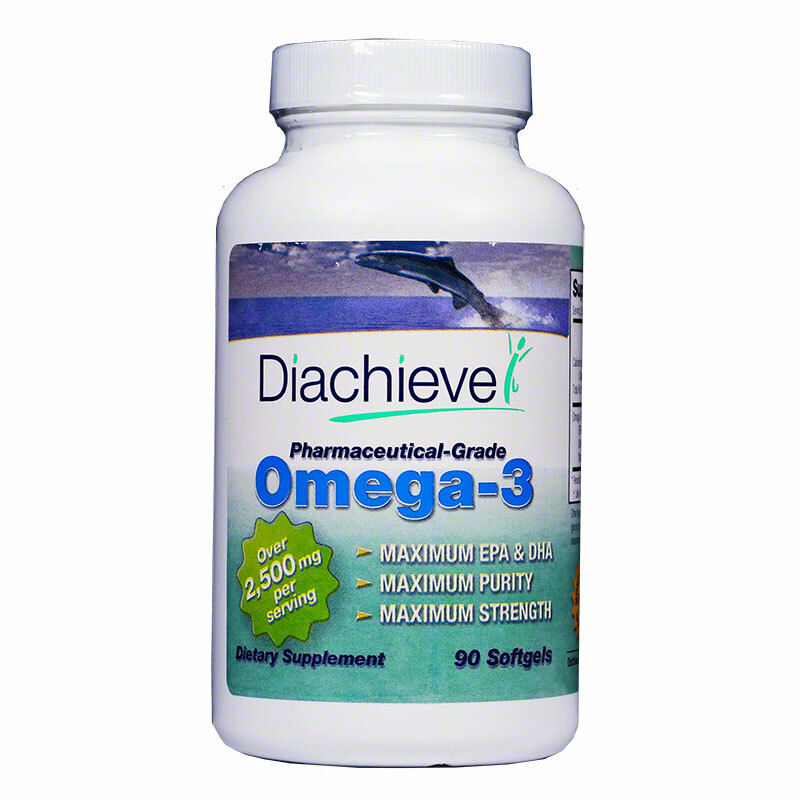 Plus our Diachieve Omega-3 is designed with you in mind. Our ingredient doses and ratios are the recommended amounts to help people with diabetes and pre-diabetes. 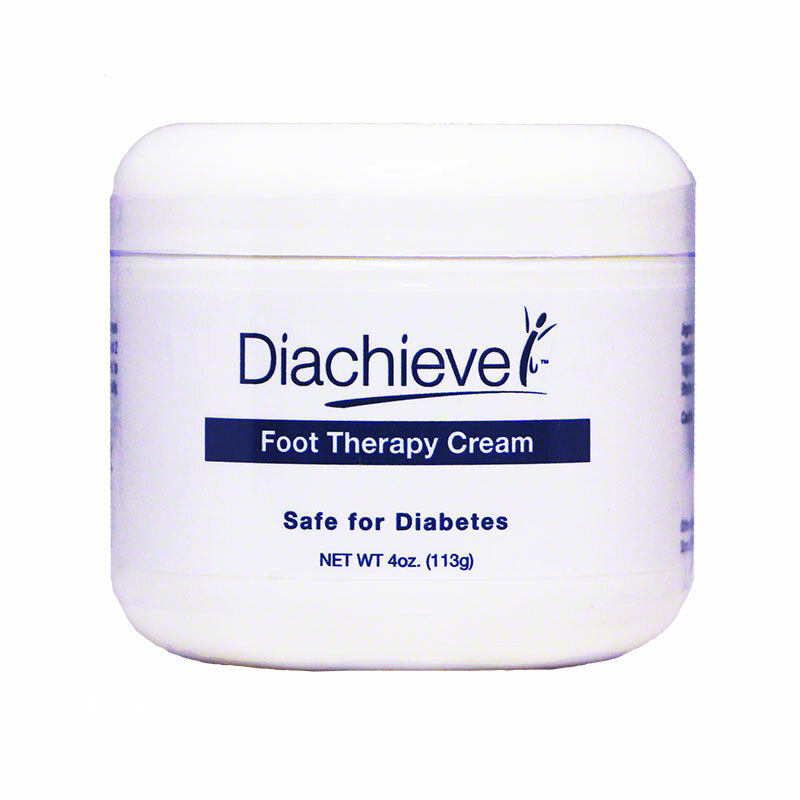 If you are experiencing foot pain, the Diachieve Foot Therapy Cream formula may provide temporary relief from pain and itch and nourish your skin with emollients, vitamins and botanicals including 75% pure aloe vera gel. Aloe vera plant extract has been used widely for generations to soothe, repair and protect skin.